Local organisations are again joining forces in an effort to protect the region by controlling foxes and assisting the survival of native species in coastal bushland areas from Mudjimba to Peregian Springs. 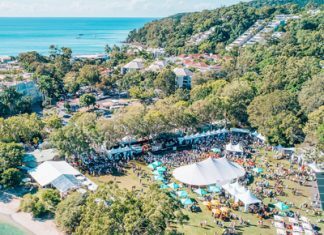 Sunshine Coast Council, Queensland Parks and Wildlife Service (QPWS), Coolum and North Shore Coast Care and Noosa Council will be working together to carry out the Coastal Fox Control Program between April 29 and June 28. 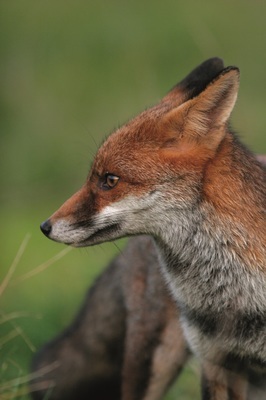 The European red fox is a declared pest in Queensland under the Biosecurity Act 2014. The program is designed to control fox breeding activity and reduce fox predation on vulnerable populations of native species such as endangered water mice, Eastern ground parrots, and green and loggerhead turtles at the egg and hatchling stage. Environment Portfolio Councillor Jenny McKay said the program was planned to protect native wildlife and impact fox populations at a time when they were particularly active. “Managing biosecurity, which includes invasive plants and animals, is a key responsibility of council and every Sunshine Coast resident,” Cr McKay said. “We have been running this program for five years now, with extremely positive results, and it’s imperative that we continue to monitor the fox activity. “Managing biosecurity means we’re protecting our rich biodiversity here on the Sunshine Coast and it’s important that we ensure the coastal fox population doesn’t recover to pre-control levels. As a result of the control program, 133 foxes have been removed and more than 467 fox dens have been inspected for signs of activity. To provide guidance and information for residents and visitors, nearby residents will be notified and areas affected by the control program will be clearly identified by warning signs at all entrances. Be mindful of the signage and ensure pets are kept on a lead at all times and are not allowed to roam into locations where control activities are being conducted. Residents can assist with the management of foxes by reporting suspected fox dens in the program area to council on 5475 7272.